Attorney Donald J. Ramsell of Ramsell & Associates, LLC announces the launch of his 2018 legal publication, "Illinois DUI Law and Practice Guidebook". Facing a criminal charge is never easy. The legal system is complicated and overwhelming for most people. The best way to protect yourself from the harsh consequences of criminal prosecution is to hire an experienced and knowledgeable attorney to represent you. The DuPage County criminal defense attorneys at Ramsell & Associates, LLC are extensively experienced in handling all types of criminal charges. We use our over 25 years of courtroom experience to effectively protect our clients’ rights and records. When your future is on the line, you need experienced legal counsel that knows how to prepare a strong criminal defense. 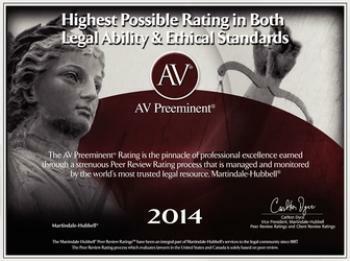 Our attorneys have long track records of obtaining favorable results for our clients in DuPage County and beyond. We aggressively fight for the rights and interests of our clients in and out of the courtroom. 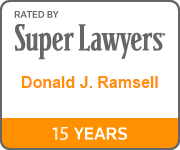 Our firm is helmed by founding partner Donald Ramsell, who has been ranked as an “Illinois Leading Lawyer in Illinois Criminal Appeals” and an “Illinois Leading Lawyer in Criminal-DUI Defense.” Also named an “Illinois Super Lawyer” by Chicago Magazine, Mr. Ramsell is well respected and highly visible within the legal community. In addition, we help eligible clients clear their criminal records with expungements and sealing. If you or a family member has been arrested and charged with a crime in Wheaton, Carol Stream, Naperville, Glen Ellyn or anywhere in and around DuPage County, contact us to schedule a free case evaluation. We will carefully review the circumstances of your arrest, answer your questions and advise you on how best to proceed with your case.